How can you drastically improve the quality of job applicants, while improving their experience, and slashing recruiting costs? Sound like a phantom elixir? A pipedream? Well, from January 2018 to January 2019, the number of candidates that came directly to the career sites of our 4,000+ customers from Google for Jobs, without being sidetracked to an intermediary, increased by 134 percent. Candidate traffic more than doubled. Inversely, the number of candidates originating from traditional middlemen, like job boards, not partnering with Google for Jobs, to the same 4,000 employers’ career sites, decreased by more than half. It’s not just the volume of candidates. Employers are getting more relevant talent since Google’s algorithms more effectively match job seekers with pertinent opportunities. In the same time period, January 2019 versus January 2018, the number of completed applications from candidates who originated from a job board declined by 35 percent. 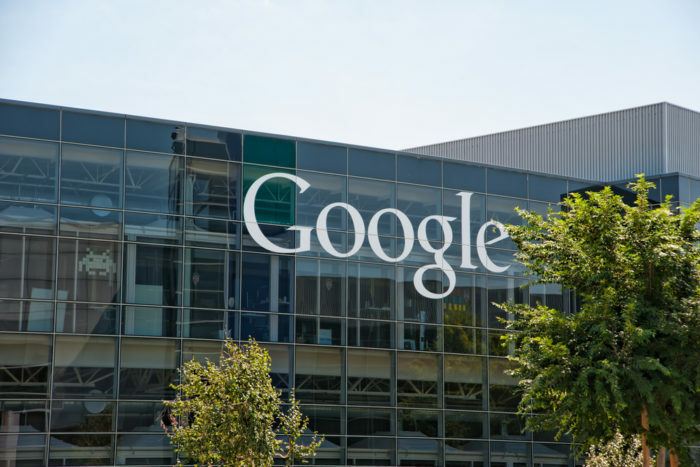 And, it increased by a whopping 350 percent from job seekers originating directly from Google. Candidates coming through job boards are 45 percent more likely to finish an application when starting on Google for Jobs. Google has already become one of the largest job search destinations for these 4,000 companies. And, it’s fundamentally changing the way you can source and recruit talent. Today, 69 percent of people start their job search on the ubiquitous search giant. But, instead of being taken to your career site, which is the best resource for candidates, they’re taken on a detour through third-party job boards or staffing agency sites. Along the way, they’re filling out duplicative forms and profiles. Most candidates and employers will tell you that the job search experience is convoluted and frustrating. It also costs you. It is estimated that recruiting is a $200 billion business, with job advertising being one of HR’s largest budget line items, surpassing employee development and training. Connect your career site to Google: Establish a direct and strong link between your career site and Google. It ensures your job openings, updates, and content is scraped instantly. Job seekers starting at Google are being matched with better-suited roles and, in turn, are completing applications faster. Don’t skimp on job details, including salary: Get granular with job descriptions. The more information you provide, the better the ranking within Google’s search results. Google for Jobs filters sort key criteria like commute time, work hours, and salary-range estimates, which are typically pulled from sites like Glassdoor and PayScale. Including salary can be a challenge for some employers, but as the power has now shifted to candidates, the benefits will be far greater if you’re transparent from the get-go. Because Google’s algorithm can display salary ranges, you’ll have more success attracting relevant candidates by providing accurate ranges. Be up front, it’s better for everyone. Simplify the application process: In 2018, U.S. adults spent 3.5 hours and 35 minutes per day on their phones. Make job postings mobile-friendly and the application devoid of unnecessary questions. Streamline the process so you’re only asking for the information you really need, which should easily be extracted from a resume or cover letter. Publish engaging content frequently: Google revolutionized how companies market their products. To build consumer demand, the best marketers publish short, visual, shareable, and clickable content daily, ensuring their brand is featured high in search results. Great candidate recruiting works the same way. Share authentic content about your mission and purpose, diversity and inclusion, culture, training, social responsibility, and industry-specific conversations (think women in tech) on your career and social sites to inform your candidates and Google. Consider your candidates’ data: When job seekers are taken to middlemen job sites, they hand over their most personal information, including their address, contact information, experience, and salary history, before even applying to your job. Job seekers deserve to have their personal information handled with care — but historically that hasn’t always been the case. Unbeknownst to candidates, a number of job listing sites sell or trade candidate profiles or data. This is a huge violation of the mutual trust that should be a part of the recruitment process. Ultimately, candidates should control who has access to their data and what can be done with it. Searching for jobs is an entirely frustrating process, and it’s costly. It doesn’t have to be that way. You can make it a faster, consumer-like experience by matching candidates with the best jobs and enabling them to apply within a matter of clicks. Colin Day is chairman and CEO of iCIMS. After graduating from Cornell University and getting his start as a recruiter at Comrise Technology, an IT staffing firm, Day incorporated iCIMS in 2000 with a vision to deliver applicant tracking software emphasizing ease-of-use and an unparalleled customer service. Under his leadership, iCIMS has grown to become the largest standalone provider of talent acquisition software in the industry and stands among Forbes’ top 100 fastest-growing private cloud companies in the country.